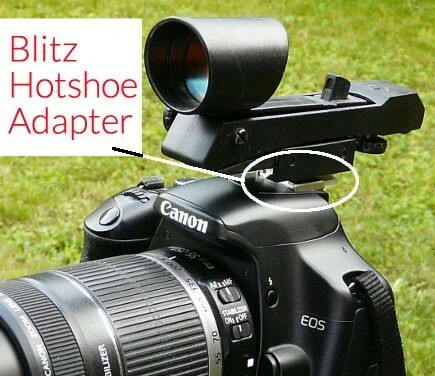 The Blitz Hotshoe Adapter is also available separately. The Skywatcher Red Dot Finder (model 20743), Celestron Star Pointer (model 51630) and 365Astronomy Red Dot Finders will certainly fit, but there might be other models that will also fit. This COMBO kit already contains a Red Dot Finder as well in addition to the Blitz Adapter.